As of yesterdays post Pelikan Edelstein Turmaline Review, kp of the deliberately kp blog asked me to the comparison of the Turmaline and Yama-Budo. So I wanted to compare all my inks which should be in purple-magenta group while I started doing swatches. 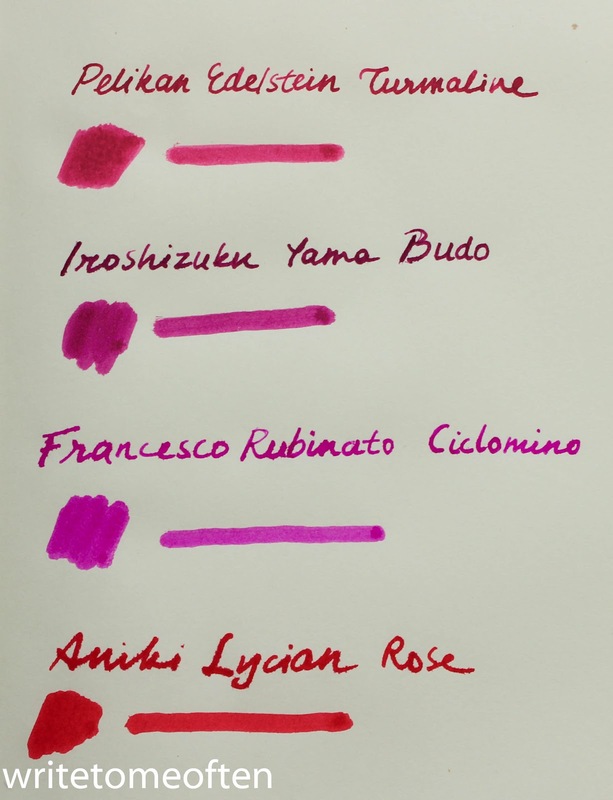 I said, should be, because one of the inks (Aniki Lycian Rose) which was a great magenta somehow turned into red. (Please note that, none of my inks are under direct exposure) And this is what Lycian Rose was like. And here is the link, from Gouletpens Swab Shop, where you can interactively compare inks.